Who’s ready to rock and roll?! Grab those leather jackets and poodle skirts because we’re about to show you one 50’s style date that’s totally neat-o and super fun! 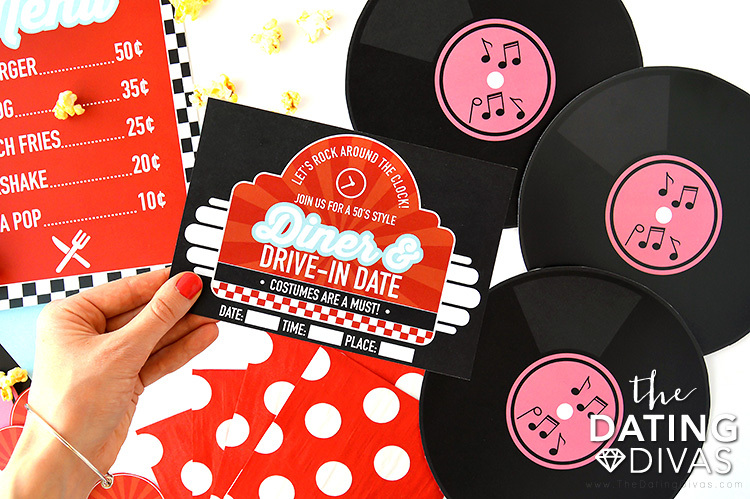 We’ve included a free printable pack that’s bursting with 50’s diner date night ideas including decor items, foodie goods, and everything you’ll need to make your blast from the past party a success. Best of all, everything is incredibly easy to throw together so you know you’ll be hosting a soiree that’s unique and full of 50’s themed goodness. Ready to check out the diner-y deets and gather the gang? Let’s go! But before we rock around the clock, we HAVE to give a giant “Thank you, thank you!” to Carisa from Messes to Memories for designing these totally diner-ful designs for us. She really captured the spirit of the 50’s and has helped us create a date idea that is so beyond Coolsville we can hardly stand it! Thanks again, Carisa! Alrighty, pull up a booth and let’s take a look at all this fab. First up, the invite. None of our date night ideas are complete without them and this one’s a doozy! 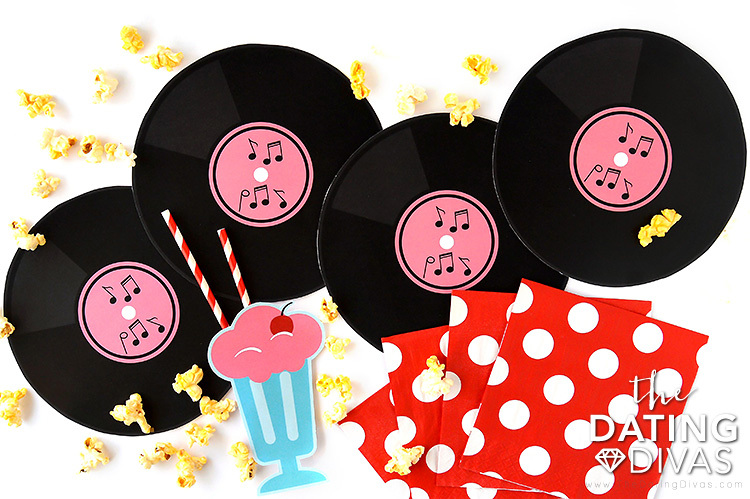 Created with true 50’s style in mind, this retro invite will give all those cool cats in your life the deets in a fresh and fun way. All you have to do is fill in the date, time, and place and send it off. We’ve also added a special reminder that “Costumes are a must!” because no 50’s themed fun would be complete without them! Speaking of costumes, if you’re looking for some 50’s style costume ideas that are totally retro and totally rockin’… take a look at the list below for some of our favorite finds! Greaser Jacket – The perfect addition for all the dudes, this look is complete with just a dash of pomade! Cat Eye Glasses – Easier than homemade pie (because 50’s…), just slip on these bad boys for a retro look that’s a snap! Poodle Skirt – A true 50’s theme classic, this easy breezy addition is a MUST for those leading ladies. Plus, who can resist a full skirt spin? Letterman Sweater – We’re DYING over how perfectly preppy this retro sweater is and your guy will too! 50’s Diner Hat – To take the whole 50’s diner idea a bit further, pop on these adjustable paper hats and add a simple white apron to help seal the deal. To make your blast from the past party uber on-theme and extra fun, we’ve included a few special treats to help set the stage. First up, a set of the rocking and rolliest printable records you ever did see! We opted to use these as background decor items for our fifties date but the sky’s the limit with these bad boys. You might consider using them as individual placemats, stringing them together to create a one-of-a-kind 50’s theme garland, or creating a fun sock-hop game. It’s up to you! 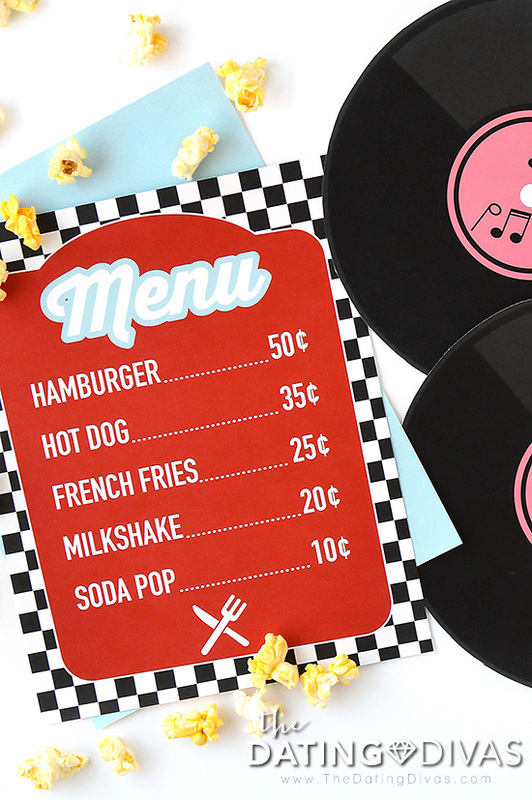 Next in the set, a fabulous 50’s style diner menu complete with that classic 50’s checkered backdrop! Just pop it alongside your food items for a perfect touch of retro charm. This seriously takes cute date ideas to a whole new level. Speaking of food, we’ve included a set of practically perfect food labels that will add an extra dose of glitz and glam to your at-home diner! Included in your set are labels for shakes, hot dogs, sodas, fries, and burgers but you do you and add whichever menu items you’d like. Affixing these embellishments to your food items is super simple and we’ll give you a brief rundown on how it’s done. 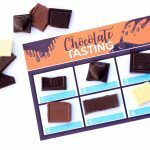 Print out your food labels on a sturdy paper—we always recommend cardstock because it’s our favorite! Cut out the individual circles. For the ‘Fries,’ ‘Hot Dog,’ and ‘Burger’ labels, attach a toothpick to the backside of each label using clear tape. You’ve just created the perfect stickable stand to pop the labels on those food items! For the ‘Soda’ and ‘Shake’ labels, consider affixing them to the front of each soda can or cup. And voila! How easy was that? Are you in love so far or what?! 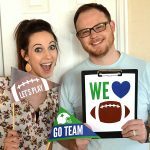 To stretch these fantastic date night ideas even further, we’ve included a few printable props to help you create a 50’s style photo booth that is just too fun for words. 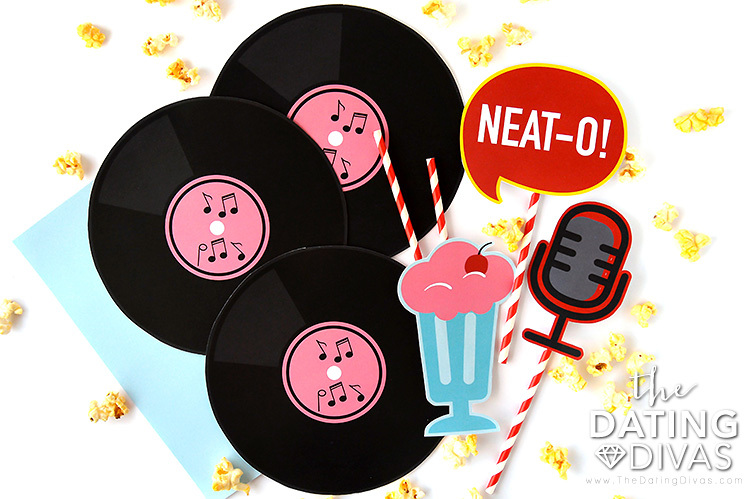 Included props are a “Neat-o!” word sign, a milkshake built for two, and a retro style stage mic. Assembly for each prop is incredibly easy and we’ll tell you how. 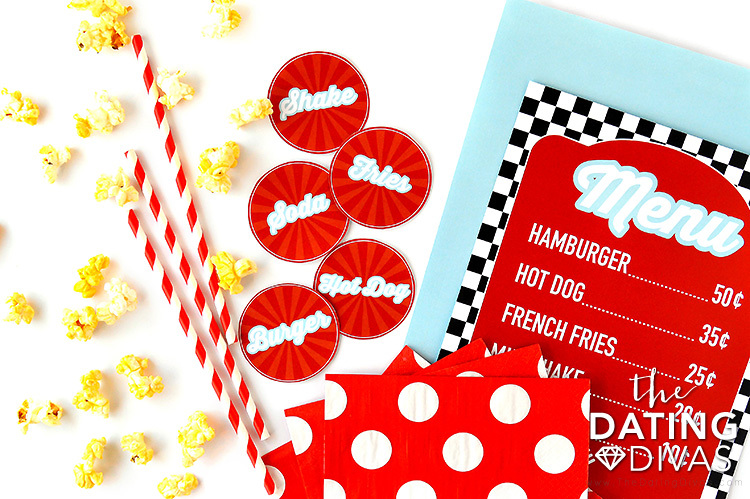 Simply print the individual items, cut around the edges, and attach each one on the stick or wand of your choosing (we went with red and white paper straws for some extra 50’s flair). Now whip out that phone or camera and go to town creating a few photo memories with the gang! So neat-o! 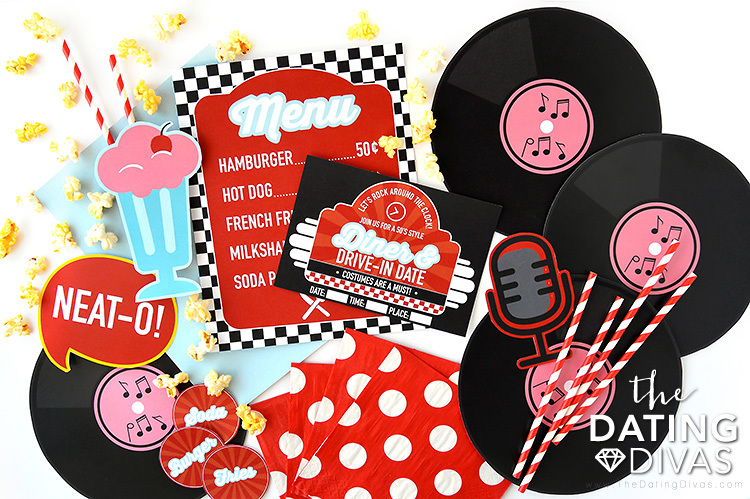 No diner/drive-in date would be complete without a fabulous 50’s flick accompanied by a classic drive-in movie sign and boy, oh boy have we got you covered! 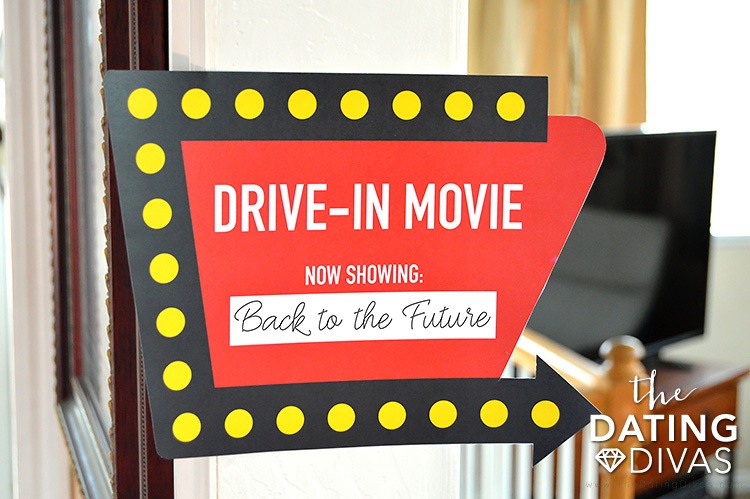 Simply print and cut your movie sign, adding in your film choice under the “Now Showing:” wording. Get ready for a blast from the past movie that can’t be beat! Looking for a few fabulous 50’s movie ideas? Once again, we’ve got yo back! Take a look at the following list (and PIN these ideas on Pinterest, just for good measure, in case you ever need another movie choice last minute) for a few of our favorite films that are so totally on-theme. For a true 50’s treat that all your friends and family will love, THIS 50’s diner and drive-in date is top dog in our book! Packed to the brim with cute and clever date night ideas and activities, we guarantee this is one blast from the past you won’t want to come back from. Enjoy! If you love a good group date night (and who doesn’t?!) 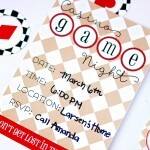 consider your own Monthly Group Date Night Planner! 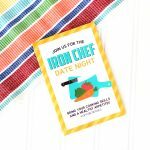 It makes planning great date nights like this one a SNAP! I want to start a 50’s theme restaurant! I love these cute ideas of how I can decorate! I love the idea of having records be were the plate mats. I also love how you suggest red and white straws and having them paper! Also I want to find a place that sales jukeboxes! That would just be a cherry on top, and would make it really feel like my restaurant was a blast from the past. Are these printables still available?